As a department at Kalamazoo College, the Outdoor Programs Office offers trainings and opportunities for outdoor education to its students. We also encourage students to seek educational and job opportunities outside of our office. Explore our Education and Job Opportunities pages for an idea of what programs are currently running in the US. Students should read through our Trip Opportunities page for programs running outdoor trips in and around the Kalamazoo area. 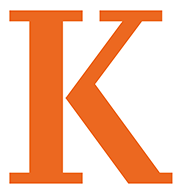 Students interested in getting involved in participating in, planning, and/or leading trips here at Kalamazoo College should look through out Trips and Programs and Events pages for a schedule of current and future trips. Also, consider stopping in to the Outdoor Programs Office to learn more about the student run Kalamazoo Outing Club. For getting involved in trip planning and leading, take a look at the Trip Leader Application page which explains the skills necessary for leading trips for Kalamazoo students and what trainings are available to attain such skills on and off campus.